The recent Orlando massive shooting that killed 50 people and left another 50 injured has sparkled, once again, the debate over gun possession in the United States. While Democrats make their case on gun control, Republicans blame religion for the massacre. A New-York born man, entered a gay nightclub in Orlando, Florida killing 50 people, holding hostages and leaving 50 injured before being killed on the scene. Thousands of statements have been made regarding the case. Some assume it was a hate crime, and others say it is a homophobic crime. Meanwhile, a vast majority are blaming gun control and background checks, while others are blaming religion extremism.The real debate is currently under gun possession in the country. The Orlando mass shooting sparks a new debate in the US about weapons of mass killings like the one used in the shooting. Photo: The Huffington Post. The Orlando shooting is as of now the biggest massacre and shooting in the last years, yet is still a massive killing of innocent people. Not long ago, in 2012, a schizophrenic entered a Colorado movie theater and killed 12 people sitting in the public. Last year, a gunman opened a social services center in San Bernardino, California killing 14 people and injuring another 22. While in 2012, a 20-year-old shooter entered The Sandy Hook Elementary school and killed 28 people, the majority of them were kids. 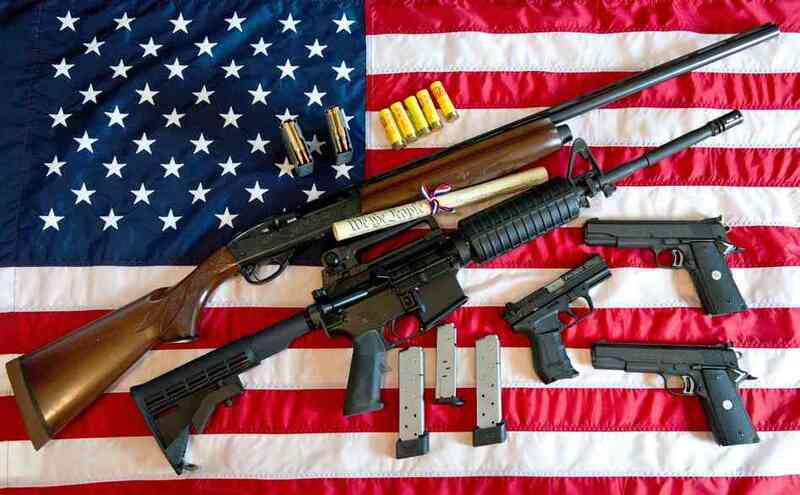 The country is currently on a gun-debate, defending or standing against these death weapons and whether everyday citizens should carry them on a daily basis. The relation between the mass shooting in Orlando, San Bernardino, Sandy Hook and Colorado is an AR-15 assault rifle, created for military use and to assassinate people in a fast way. The weapon is gas operated, lightweight, with a capacity of 5 to 100 rounds and is the most popular weapon in the country. Those who are pro-gun-control assure this type of weapon are dangerous killing machines that should be controlled and banned. Meanwhile, gun activists defend their right to carry firearms as citizens of the United States. According to the National Rifle Association (NRA), the weapon is used for protection, recreation and shooting purposes. The assault rifle was created specifically for mass shootings. “Assault weapons are military weapons designed for close-quarters combat. That’s why you see them over and over in mass shootings. They are being used precisely the way they were designed: to slaughter people,” said Richard Aborn, the president of the Citizens Crime Commission of NY told the Christian Science Monitor in a statement. A debate on weapons legislation has emerged since the last 10-year ban expired in 2004, gun-control supporters made pledges for its renovation. Other comments on the matter, have assured the ban didn’t change death rates.